Welcome to my September Packaging Special! Banana Juice in Banana skin-esque packaging! This makes me want to squeal with delight – look at the banana ends! I really don’t like bananas, but this is just beautiful! 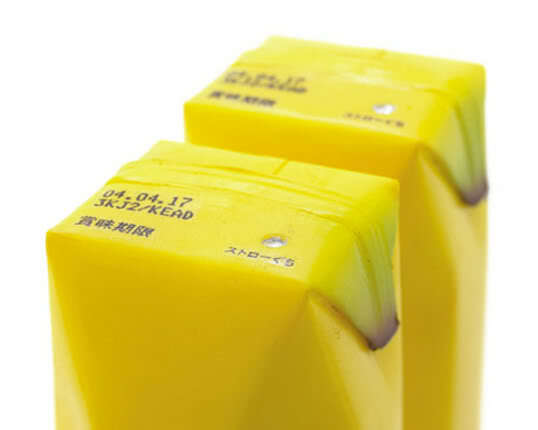 And the best thing is that apparently the carton even has a banana skin texture! It’s amazing! This beaut was designed by Naoto Fukasawa, who is a Japanese designer (if you hadn’t already guessed from his name) and he has developed the idea further to include other fruits including kiwis and strawberries! 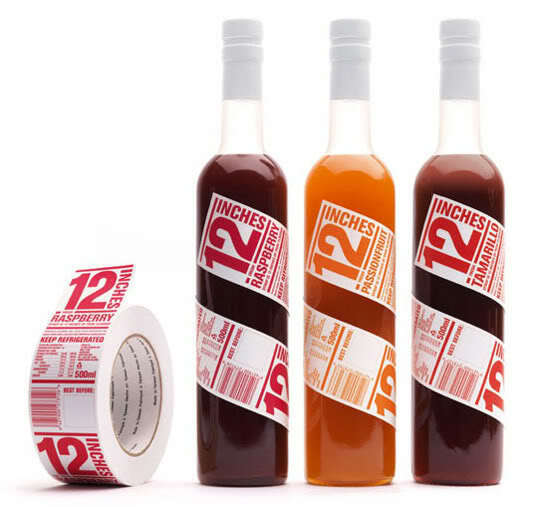 Check these out at the original post here at the dieline. 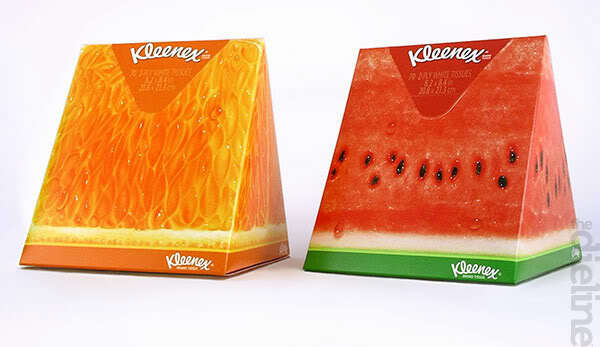 Next up and still inkeeping with the fruit theme, we have these Kleenex tissue packets. I love how the shape of the box is the shape of the fruit segments/portions and also that they can fit together (like the lime) – its juicy! So they’re maybe not very practical to carry about with you in your handbag but they are so mouthwateringly cute and fresh – I would love to have one of these on my desk at work to pluck tissues from, wouldn’t you!? Check out the original post here at theDieline. Does your popcorn always fall over? Well what about this little innovative chap? 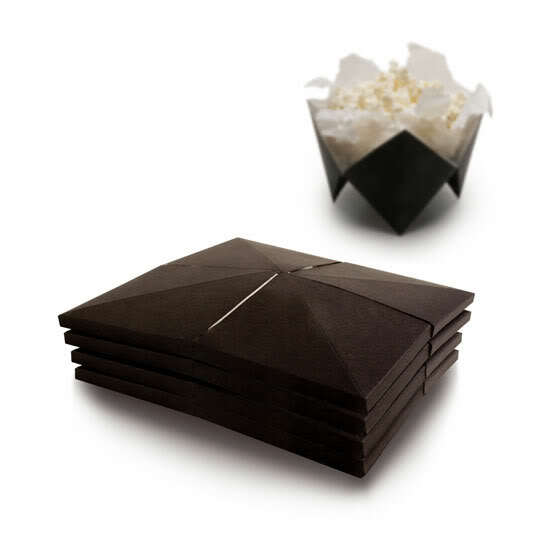 ‘Pop-up Popcorn’ by Packlab from Finland is great in my opinion! Flat pack to pop up in less than 5 seconds I bet – genius! How SWEET is this? No, not just the actual honey but the little bee incorporated into the logo! 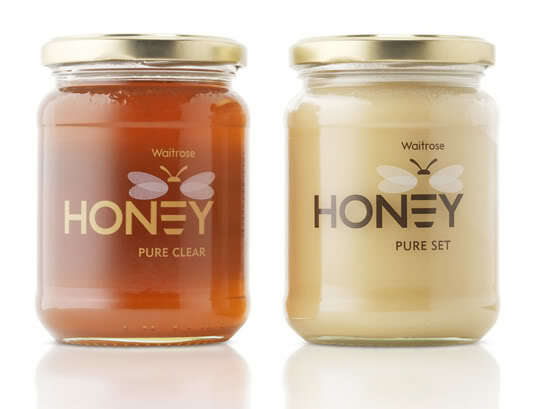 I actually think ‘awwww’ when I see this 🙂 I prefer the ‘Pure set’ version due to the text against the solid honey as it stands out more and I think the colouring is nicely teamed. That bee is just damn cute! This is probably 20% less about the packaging (har de har). 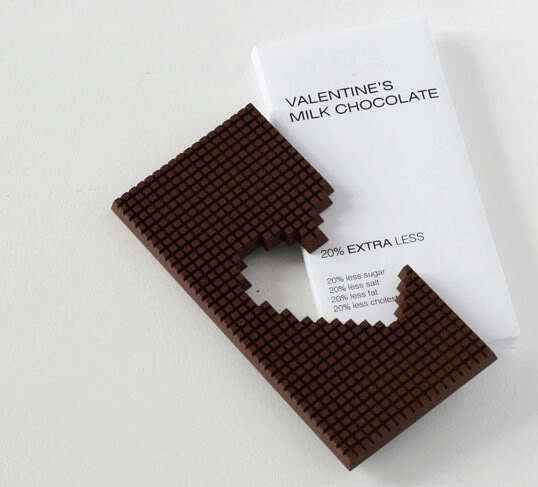 This little witty bar of chocolate is great – 20% extra less due to the heart shape hole in the chocolate! Although, I don’t think I would be very impressed if I got this chocolate bar… I would want ALL of the chocolate. But what a great way to stop yourself eating a whole bar of chocolate! 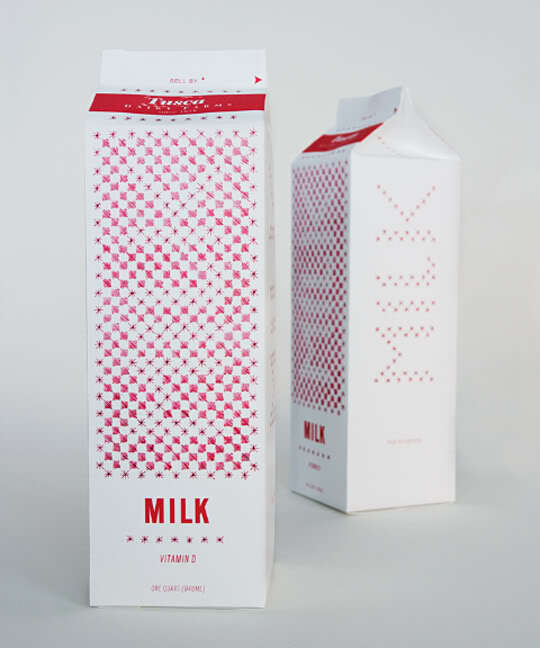 20% extra less is the brain child of Tithi Kutchamuch, but I can’t seem to find the post on thedieline so just google him if you want to see more of his work!